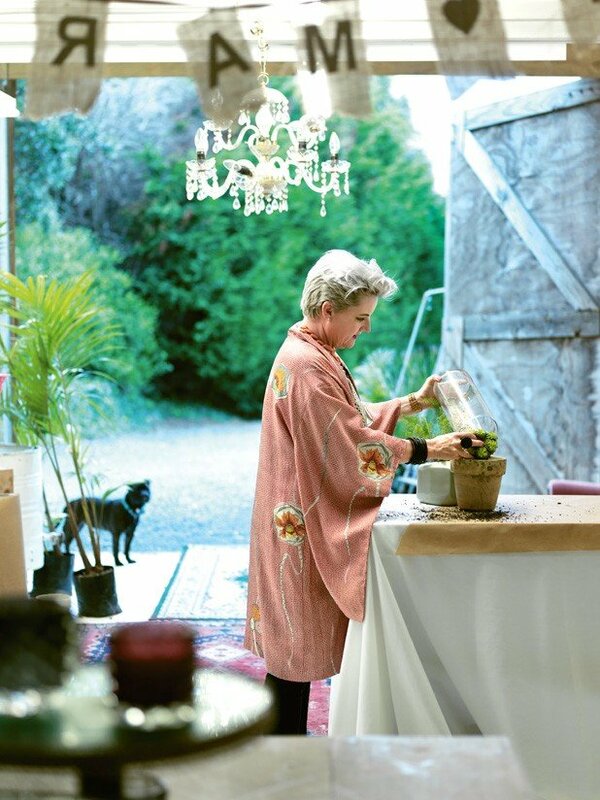 Annie Oxborough - a Stylist specialising in custom design concepts for events and spaces. Annie is also a wedding planner and can coordinate your special day, from concept to completion, making sure all your needs are met. Annie has the advantage of 29 years of knowledge in the industry and with her unique skill set, is considered a leader in her field. Her alliance with industry suppliers, together with bespoke products, Annie can transform any event. With her strong design background, no two events are ever the same. For more information visit the 'VENUE' page of your choice... and please get in touch for a concept plan and overview of your wedding or event. Leaving the confines of traditional floral design, Annie recreates nature’s handiwork from a truly unique standpoint. From a sea of roses at a white wedding to a glass terrarium of dramatic greenery, no one occasion is the same nor treated as such. Annie hones in on the individual ideas and desires of her clients and under her eponymous brand, ANNIE O; you can expect to be afforded the same luxury. Her services include: Wedding and event styling, prop acquisition, set dressing, buying, and retail space enhancement. Annie and her team are now offering a full health check for your existing office or home flora and fauna. We will visit your location and custom design a fresh botanical selection in vessels of your choice. Our team have interior and exterior plant knowledge and we also offer a full maintenance programme so your designs will look fantastic all the time.